Congratulations to Joan M. of Franklin, NC! I’ll be contacting you soon to select your new clock! Would you like to get a clock for free? Hosting an Uppercase Living party is an easy way to earn free and half off items. Let’s talk! Woohoo! It’s Fall Y’all! 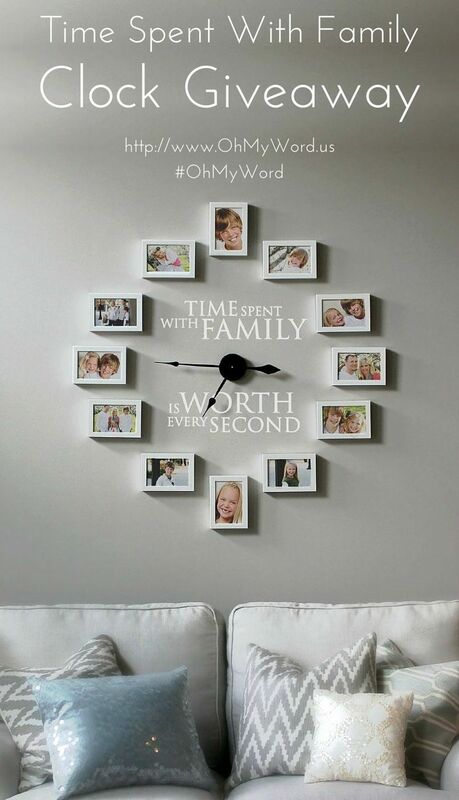 And I’m celebrating by giving away one of our gorgeous Uppercase Living “Time Spent With Family” clocks! To enter, all you have to do is complete the form below to subscribe to my Uppercase Living email newsletter. You can also earn additional entries can be earned by following me on Facebook, Twitter and Pinterest and sharing the contest. 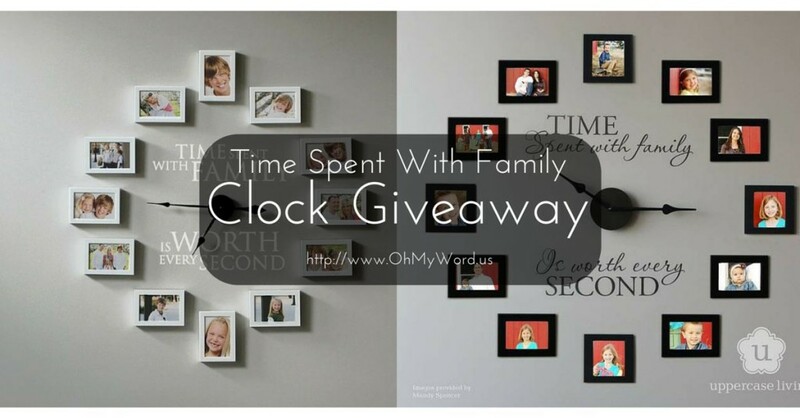 The winner will receive the Time Spent With Family vinyl in their choice of available fonts/colors (Uppercase Living has over 50 colors to match any décor) and the clock mechanism (Yes it works!). Photo frames are not included. This giveaway is only available through me and is not sponsored by Uppercase Living. So, what color clock would you choose? Hey Karen. You can purchase the clock and wording at http://www.uppercaseliving.vip/Clocks. Then all you need is a blank wall and some photo frames 🙂 You can find instructions at http://www.uppercaseliving.vip/create-pinterest-picture-frame-clock/. And of course, let me know if you run into any problems ordering. I am trying to order one of these lovely clocks , but I don’t see where I can pick the color I want and the font. Also how long it takes to ship ? Hey Tamara! I’m so sorry that you are having problems ordering. Yes, you can absolutely choose from over 50 colors. But, the color selection for the clocks is a bit tricky. Here’s how to do it.